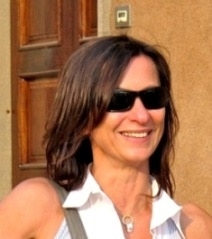 Alessandra Gatti received her Degree (1993) and PhD (1997) in Physics from the University of Milano. From 1995 to 2005 she had been a permanent research staff of the INFM (National Institute for the Physics of Matter). Since 2005 she is a researcher of CNR (since 2007 senior researcher), currently being part of the IFN. Her research takes place at Insubria University in Como. Her research activity, mainly theoretical, is in the field of quantum and statistical optics, where she gave several pioneering contribution to the field of quantum imaging and multimode entanglement of light beams. She is coauthor of roughly 100 publications, in peer-reviewed journals (72), volume chapters, editorial works and conference papers.